Im Helen aged 53, i foster for my LA, Nuneaton and Bedworth Warwickshire and until An earlier program prior to Elevate id been pretty sedate! 2. 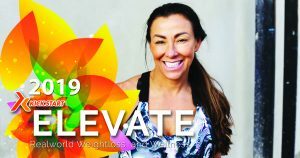 How long did you do the Elevate with Rachel Holmes programme? 3. What made you decided to join the programme? 4. What were your goals when you started? 5. How did you find the journey? Pretty good- yes i hit a plateau during the programe but i learnt that was good as previously id have just given up!! 6. How did you find the coaching? 7. Did you feel supported throughout? 8. What was your favourite part? 9. 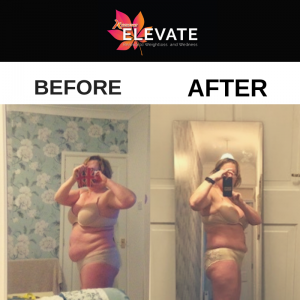 Which nutritional protocol worked best for you and why? IF two- three times a week / and or two meals daily – im not always hungry in the morning, and so these worked best for me- im not into fatty foods but found the odd meal with high fat low carb, suited me and kept me satiated. 10. What were your last results? 11. Will you continue with the nutrition? 12. What changes did you see to your fitness? Massive changes i workout daily do powerbags and crossfit and love working out – my mental well being is so dependant on my getting my sweat on regularly now. 13. What changes did you see to your wellness/ mental health? 14. What changes did you see to your physical appearance? 15. Are you booked on for January?